FAQ: Hybrid Sterility: Do Infertile Hybrids Prove Evolution Can't Happen? Hybrid Sterility: Do Infertile Hybrids Prove Evolution Can't Happen? Does hybrid sterility, the fact that some hybrids are infertile, prove that evolution can't happen? Just because mules or other specific hybrids are sterile, does that mean all hybrids are sterile? Does it matter if hybrids are sterile? Does evolution occur by hybridization? It's probably apparent, just by the questions I asked, that hybrid sterility doesn't disprove evolution. Creationists, in general, are not asking the question, "Did evolution happen?" If they were asking that question, it would be obvious that finding a few hybrids such as mules, ligers (lion and tiger mix), and catalo (cattle and buffalo mix) that cannot reproduce or cannot maintain a new hybrid species, doesn't disprove anything. After all, one can't prove that birds can't migrate by using ostriches and chickens as examples! 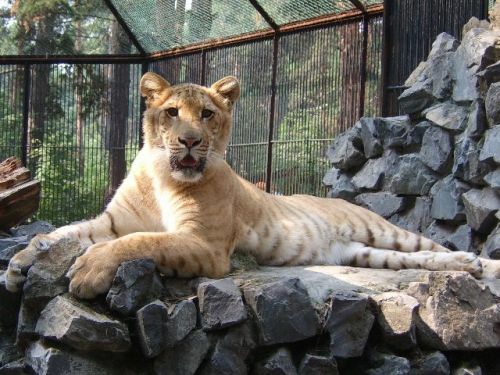 No matter what your position is on evolution, you have to admit these (sterile) ligers are awesome to behold. Creationists are usually asking, "What evidence can I find that could possibly constitute a difficult hurdle for evolution to overcome?" When that question is asked, then evidence is found everywhere. Evolution has incredible hurdles to overcome, and they can be found everywhere. Survival is difficult, and the march of life through time has produced astounding, awe-inspiring features to overcome those hurdles. Think about cars. Think about how long they last, and how difficult it is to keep all their parts functioning? Humans perform much more intricate functions than cars, and we have many more parts, yet the average American lives over 70 years! Turtles are known to live longer than two centuries! Cars haven't even been around that long! And then there's plants. There are Redwood trees that have lived since before the time of Christ! So finding difficult hurdles for evolution to cross is not hard to do, but those hurdles have nothing to do with whether evolution occurred. We have to make sure we're asking the right questions. Are There Any Hybrids That Are Not Sterile? Available information suggests the majority of animal hybrids are partially fertile. In my own survey of hybridization in birds (McCarthy 2006), I found that, for those avian crosses for which information on fertility is available, the ratio of crosses producing partially fertile hybrids to those producing highly sterile ones is about six to one. In the survey of mammalian hybrids I am currently conducting, I also find partially fertile hybrids are common. 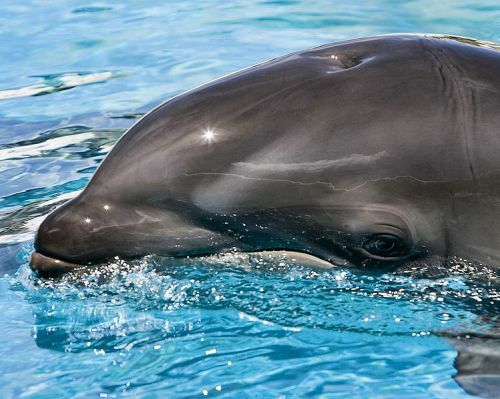 Wikipedia lists several examples, including a wolphin, a cross between a false killer whale and a bottlenose dolphin. King snakes and corn snakes are also listed as producing fertile offspring. Thus, if fertile hybrids were necessary to evolution, there are plenty of examples that nature is capable of producing those. But are fertile hybrids really needed for evolution to occur? One set of fertile hybrids I particularly want to address is dogs. Coyotes, wolves, dingoes, jackals, and domestic dogs produce fertile hybrids. I can already picture an anti-evolutionist saying, "Well, see. That just proves they're really all one species—the dog 'kind.'" How convenient! If a hybrid is sterile, then those are separate species which can't produce fertile hybrids. If the hybrid is fertile, then those aren't different species. A bit of circular reasoning there! Does Evolution Require Fertile Hybrids? Far from disproving evolution, hybrid sterility may be necessary to preserve new species formed by mutation and selected by natural selection! Why this would be true is not difficult to understand. Evolution occurs by gradual change. Even Stephen Gould's punctuated equilibrium theory suggests gradual change by any standard we can conceive of; he only speeds the process up to occasional bursts of speciation occurring over a thousand to ten thousand years, followed by periods of stability. Thus a typical speciation event would involve a portion of a population of some species becoming isolated from their counterparts by some event. In the case of Darwin's finches, it was being marooned on the Galapagos Islands. 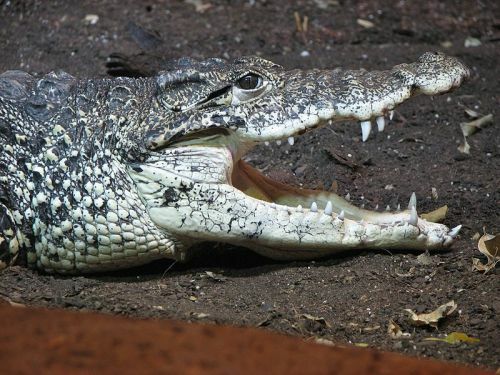 There, they gradually changed, as all species do, until they were no longer compatible with their ancestral species on the South American mainland. This scenario, the most common way for evolution to occur, does not require hybridization at all. In fact, as pointed out in the <cite>Nature</cite> article referenced above, hybrid sterility can help keep the new species from intermingling with its ancestral species and losing its uniqueness. Obviously, though, since not all hybrids are sterile, it is possible for new species to be created by hybridization.